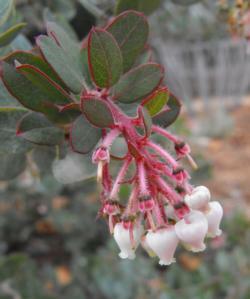 Description: Evergreen group of shrubs native to California. 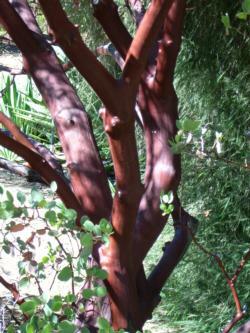 Most have smooth mahogany to purple trunks and red stems with green/grey foliage. 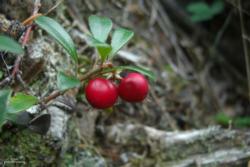 Pruning time & method: Selectively prune only to remove dead branches or reveal structure. Require minimal maintenance; avoid unnecessary pruning.